Internet brought us to a fast growing economy, so more and more products are easier to become popular, also includes snacks. This year in China, the most popular spread by internet is called “oat bar”. It’s easy to buy in many places, shops or on-line. Cereal Production Equipment could produce such popular oat bar. Oat Bar Forming Machine has installed 36 pieces of molds with required mold cavities. The materials are fed and filled into the cavities. Then the materials are cooled down and become hard. Then an ejection system will push the oat bar out of the mold cavities. The whole procedure is continuous, so less operators are needed. 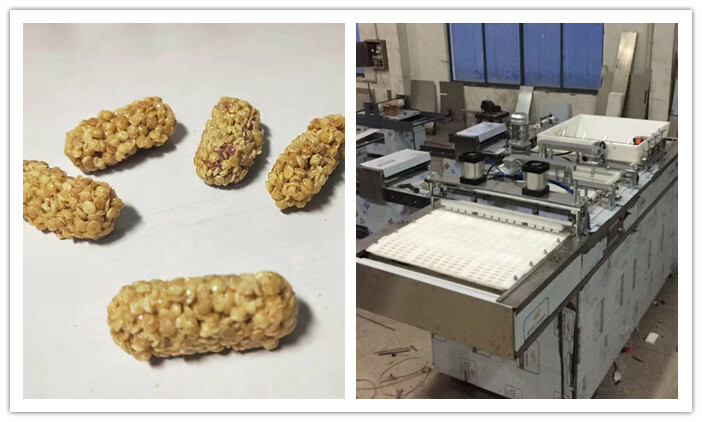 For more details about Oat Bar Former, please contact Dragons Machine.